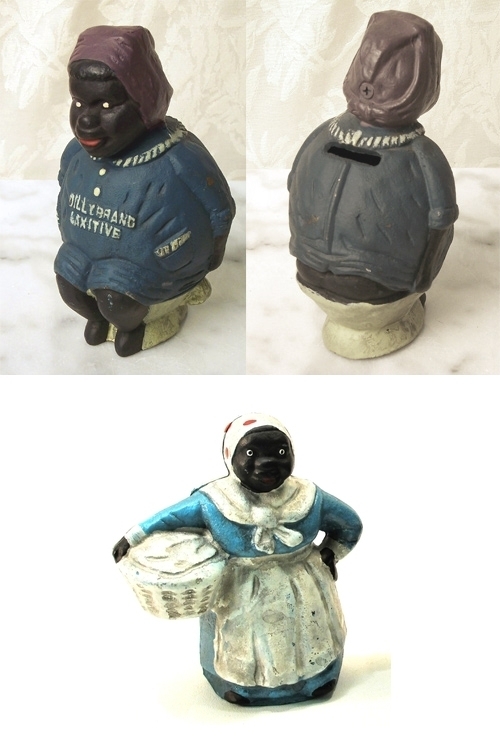 Bank # 1: Cast Iron Black Laundry Girl Mammy measures 5" tall. Bank #2: Black Americana Lady "Dilly Brand Laxative". Measures a large 7 1/2" x 4 1/2".